Are you interested in using Venus 1500 control software to create messages in languages other than English? Last week, we showed you how to do this if you only occasionally need this feature. If you use world text more often, this article is for you. Our software training team offers you some great tips below. The font must support the characters in the desired language. A keyboard or some type of input device to type text—you can use the on-screen keyboard in Microsoft Windows. The regional settings on the operating system should be set up appropriately, based on the desired language. This is important for the input device to know what language to use. 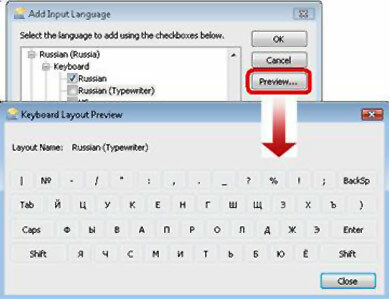 For example, to use Ukrainian in Content Studio, an operator can use Arial font, a Ukrainian keyboard, and configure the appropriate Ukrainian regional settings in the operating system. See more information about using non-English languages at the back of the version 4 Help Guide (located by going to the Application Menu > Help > Contents). Use today’s information if you frequently need to use a foreign language. If you only occasionally need to add foreign text, please refer back to last week’s blog article, ¡Aquí se habla español! Previous: Previous post: ¡Aquí se habla español!